Le Vanille, the resort's main restaurant, is open for breakfast and dinner. 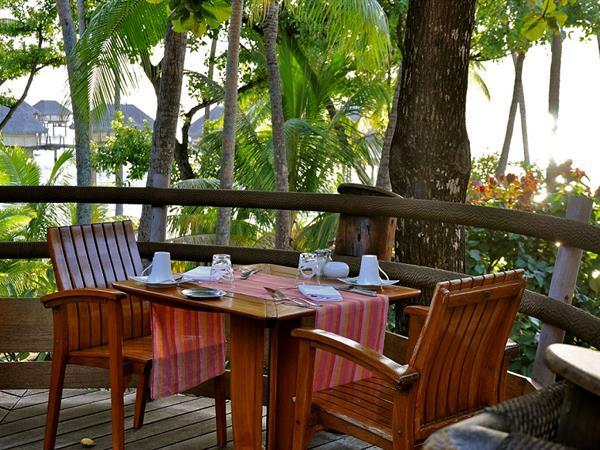 Set high up among the trees, you will enjoy restful views of the Taha'a lagoon and the property's lush gardens. Le Vanille is the perfect place for a great start to the day with our selection of freshly squeezed juices, delicious danish, muffins, French "pain perdu", tropical fruit, hot and cold buffet. Breakfast is served from 7:00am to 10:00am. Dinner is served from 7:00pm to 9:30pm. The dinner menu offers a wide selection of local and international specialties. Vegetarian, vegan and gluten free options are available. 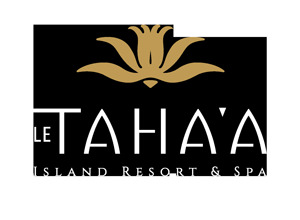 Le Taha'a’s homage to Polynesian culture and traditions… A buffet featuring Tahitian delicacies and international options, as a local band serenades you through the night. Traditional dances and a not-to-be-missed fire dance will highlight the evening. Fire dance shows are usually only seen at festivals or big events; Tavita, one of the best fire dancers, also known as one of the most tattooed men in French Polynesia, performs at the resort every week ! (Please note that the show is weather permitting).